But before you do, you have to acknowledge the situation — reach a level of acceptance — and then, move on. It’s a very Zen philosophy, and it’s worked for Laura Burhenn, singer/songwriter of The Mynabirds. She’s applied that existential attitude throughout her career, starting as a solo artist before joining with former Q and Not U frontman John Davis for indie pop act Georgie James in 2006. Georgie James checked off most of the items on the must-do list for indie rock success. They released an album on a respected label (Saddle Creek Records), toured internationally, had their video played on MTV and performed on a late-night network talk show (Late Night with Conan O’Brien). “From an outsider’s perspective, you see those benchmarks and check them off and say that the band was really successful,” Burhenn said last week while sipping a Manhattan on the patio at Slowdown. But Burhenn knew after recording demos that the concept was too complicated and wasn’t going to work. Wanting to make a complete break from her Georgie James past, Burhenn was convinced by friend and fellow musician Orenda Fink to move to Omaha in the fall of 2008 and to also join her on tour as a keyboard player and backing vocalist for Fink’s project, O+S. The label facilitated connecting Burhenn and Swift, and the two finally met at the South by Southwest Festival in 2009, where they agreed to collaborate on her record, with Swift focusing on the arrangements and the two playing almost all the instruments. Joining them on the recording was Fink, musician/engineer/producer AJ Mogis; Tom Hnatow (These United States) on pedal steel; and Nate Walcott (Bright Eyes), who arranged the horns. 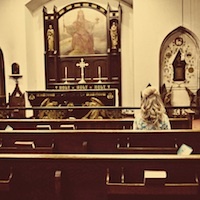 The result was What We Lose in the Fire We Gain in the Flood, a 10-song collection of rootsy, gospel-influenced songs about love, loss and resolution that reflects soberly on the past but looks forward with a glass-half-full optimism. Among the opening numbers is the piano-pounding rocker “Let the Record Show.” With the lines “Let the record show, you gave a real good fight / And let the record show, so did I,” the song is an after-the-fact account of a relationship gone wrong. That healing theme continues with the dense, gorgeous heart-breaker “Right Place,” that looks back at a failed relationship, and closes with the line “I haven’t changed my mind, God knows I tried.” Burhenn said it was the last song written for the album. “Until I wrote it, I didn’t think I had a song in this whole story that made peace with anything. That song went there,” she said. “There’s something sad and kind of mean at the end, but resigned. I tried to sing it from my perspective as well as imagining John Davis singing that song. The idea that we tried our best, it didn’t work, and it’s where it needs to be. Burhenn once again looked to Orenda Fink to help put together yet another found family — her touring band The Mynabirds. The group is a who’s who of Omaha talent that includes Johnny Kotchian (drums), Dan McCarthy (bass and vocals), Pearl Lovejoy Boyd (vocals), Ben Brodin (guitars and vocals), and Alex McManus (guitars, horns, and vocals). Plans call for a short northeast tour in early June, followed by a full U.S. tour later in the year. 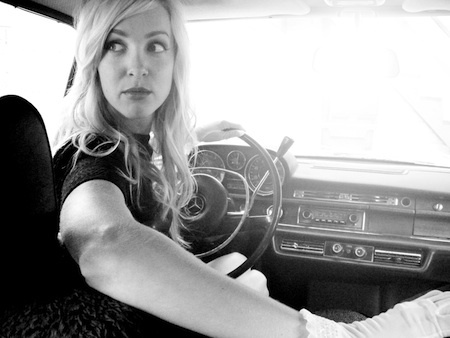 The Mynabirds play with The So-So Sailors and Jeremy Messersmith, Saturday, May 1, at Slowdown, 729 No. 14th St. Showtime is 9 p.m. Admission is $8. For more information, visit theslowdown.com.